Making and updating a Will is often not talked about as much as it should be. It can be difficult to consider what will happen after you pass away and lot of people may think it is morbid or unnecessary. Here at Hentys, we consider estate planning to be quite the opposite – a vital step in making sure your family is looked after! In simple terms, estate planning involves making a Will, which is a valid legal document outlining your wishes after your death to ensure your assets are passed on to your beneficiaries in the manner you want. Guardianship of your children: you may nominate someone to look after your children in the event you pass away while they are under the age of 18. Although it isn’t pleasant to consider, you can secure your wishes for the future of your children by including your instructions in a Will. 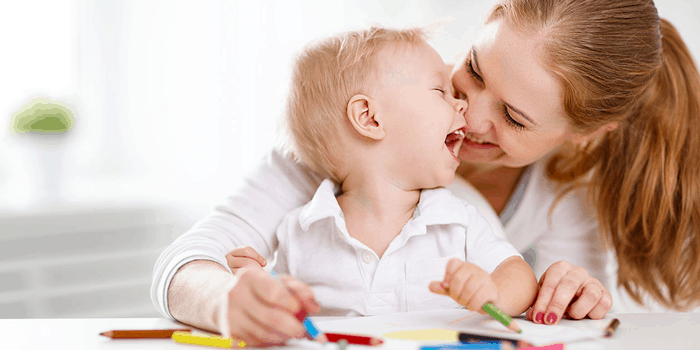 Things to think about when appointing a guardian includes who your child has a bond with, who is in a financial or emotional position to take on the responsibility of your child, whether this person already has a child and where you would like them to live. Funeral arrangements: you may include your final wishes in your Will to ensure that they are followed. You may have instructions for the location of your resting place, whether you wish to be buried or cremated and if you want to donate your organs. Managing complex situations: with the rise of blended families, estate planning is becoming increasingly vital. You may use your Will to exclude someone from receiving a share of your estate, to account for previous marriages and divorces, to account for your super or any other assets you may hold and to give consideration to beneficiaries with special circumstances. Are there things that cannot be gifted in a Will? There are three main assets that don’t generally form part of an estate and therefore, are often not able to be bequeathed under a Will. This includes jointly held assets, superannuation and life insurance policy payouts. It is not uncommon for spouses to hold their assets in joint proprietorship, especially their bank accounts and homes. If an asset such as a property is owned jointly by two spouses, upon the death of one spouse, the title of the property will revert to the other. As a result, the asset would not form the estate of the deceased spouse and could not be gifted under their Will. Your super does not automatically form part of an estate and will be paid out at the discretion of your fund’s trustee unless you have an alternative arrangement. Making a binding death nomination is one way to ensure your superannuation is paid out to someone of your choosing upon your death. You may also nominate your executor to distribute your superannuation according to your wishes in your Will. In much the same way as your superannuation, your life insurance is not automatically paid out to your estate. You may however nominate to have your policy paid to your estate and distributed under your Will. For more information about assets under a Will, do not hesitate to contact Hentys estate lawyers today. When a person passes away without a valid Will, the law considers them to have died intestate. ASIC estimates that approximately half of Australians who pass away do not have a Will and therefore are considered to have died intestate. When this occurs, an administrator is appointed and the estate is distributed as according to the hierarchy provided by the Administration and Probate Act 1958. The below infographic outlines this hierarchy. When someone dies intestate, they will have no control over who inherits their assets. This may result in someone might have been otherwise provided for if the deceased had made a Will, missing out on provision from an estate. The two witnesses must sign the Will in the presence of the Will maker (but not necessarily in the presence of each other). In Victoria, Section 9 of the Wills Act 1997 allows a document which has not been executed in the manner in which a Will is required to be executed (ie has not adhered to the aforementioned, one example of which being unsigned) to still be admitted to probate as the Will of the deceased, if the Court is satisfied that the person intended the document to be his or her Will. However, this is not a preferred option as it can be a stressful, time consuming and costly process. We highly recommend that you make a Will that reflects your wishes, whether you do this yourself or consult a legal professional. For the benefit of your family and friends, it is important to update your Will as you move through any significant life changes to ensure it reflects your wishes. Consider the example of parents expecting their second child, a son. They updated their Wills after their eldest child, a daughter, was born, including her as a beneficiary. They do not update their Will to include their second child. A number of years pass, neither parent update their Wills over this time and both the parents pass away when their children are adults. To the youngest child’s dismay, he has not been provided for and therefore will not receive a share of his parent’s estate. He chooses to contest the Will, at a cost of approximately $25,000. This money is taken from the estate assets, as is the executor’s legal fees of approximately the same. The process takes around three months and is emotionally exhausting for all involved. Had his parents simply updated their Will to reflect their life changes, the whole process could have been avoided. Similarly, another common issue that arises is when a Will is not updated after a relationship breakdown to exclude a former partner and include a new partner, if applicable. As in the above example, this may lead to a person not being provided for that perhaps should have been. Despite our experience in handling Family Provision Claims and the level of care and empathy we commit to each and every matter, these proceedings still have the effect of diminishing the estate funds, delaying distribution and upsetting family members. By having an up-to-date Will, especially when planning a child or going through a significant life change, you can take the best possible action to avoid a claim for further provision from your estate. If you have an estate dispute claim will do not hesitate to contact Hentys Lawyers today. Previous Post Is an Adopted Child Eligible to Contest a Will?